To borrow a term from Lamizet (2007), a city is a polyphonic space, one which presents its particular architecture and therefore a number of systems of expressions and meanings. Resulting from various projects and the design expertise of a wide range of contributors and of plural identities, a city is founded on both individual and collective history, all of which is closely related to modes of appropriation and customs. This issue of M.E.I. comes within the scope of interdisciplinary research projects calling on communication and information sciences, architecture, spatial semiotics and cultural studies. Therefore the authors explored various dimensions : the writing and the reading of urban spaces, urban spaces as a place and subject of public debate, the representation methods of architecture, the forms of spatial mediation, the evolution of architectural design process towards more collaborative practices, etc. During the interwiew, Yves Jeanneret and Thierry Paquot provided rich insights into the relationship between architecture and communication : epistemological, disciplinary, methodological, cultural, semantic, social. 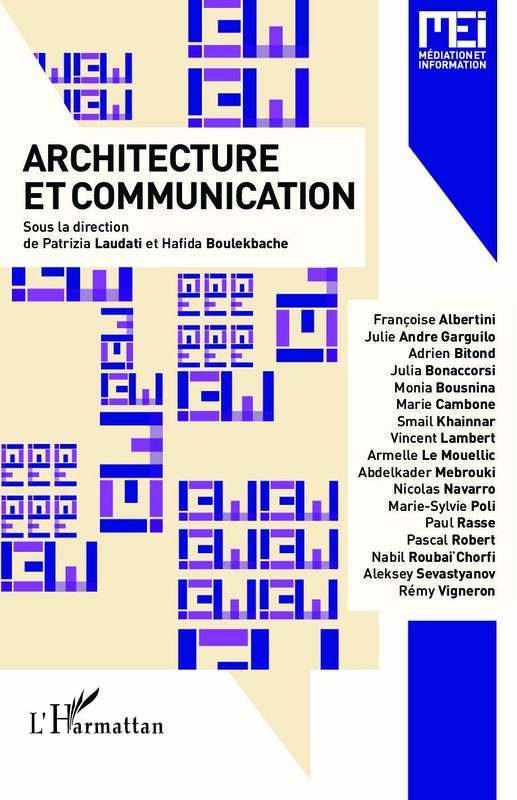 Patrizia LAUDATI - Hafida BOULEKBACHESorry, this entry is only available in French. Yves JEANNERET - Thierry PAQUOTSorry, this entry is only available in French. Corte : a village of shepherds that becomes a university town. The architectural teaching in competition. The project as a communicational material. Portes, balcons, escaliers, couloirs, murs et fenêtres… Les objets architecturaux du passage dans la bande dessinée franco-belge : des opérateurs narratifs graphiques ?